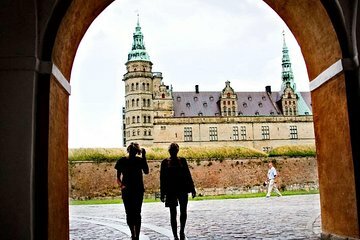 Visit two countries in one day—and explore castles, cathedrals, skyscrapers, and more—on this tour from Copenhagen. After setting off from the Grand Hotel in the morning, travel via luxury minibus to Helsingør (Elsinore), where you can visit the UNESCO-listed Kronborg Castle (own expense), immortalized in Shakespeare’s Hamlet. Then, hop on a ferry to Sweden. Enjoy free time to explore the historical university city of Lund, and get to know buzzing Malmö. Finally, return via the Øresund Bridge to Copenhagen.